Served as a Private in the Devon Regiment. 4 Jun 1931, Imperial Fruit Show. Southern Hemisphere Exhibits. LONDON, June 2. Jonathans.-W. S. Cripps, Mount Victoria (N.S.W.) 1. Cleopatras.—W.H. and D. F. Calvert, Huon (T.), 1. Sturmers.—W. H. and D. F. Calvert, 1: H. E. Stephers, Stoke (N.Z. ), 2; J. A. Fraser, Manana (N.Z. ), 3. Granny Smiths.—G. Simpson, Karragullen (W.A. ), 1; W. H. and D. F. Calvert, 2; H. Lake, Bridgetown (W.A. ), 3. Other Dessert Apples.-Illowarra Orchard, Karragullen, 1; J. B. Savory, Upper Beaconsfield (V.), 2; W. H. and D. P. Calvert, 3. Dunn's Seedlings.— E. G. Hall, Bridgetown (W.A. ), 1; G. Simpson, Karragullen, 2. Other Culinary Sorts.—W.H. and D. F. Calvert, 1. 15 Aug 1931, British Settler Grows Fine Apples at Beaconsfield. VIGOROUS GROWTH Individual Pruning. BY winning second prize at the Im perial Fruit Show in London last June with four cases of Yates apples Mr J. 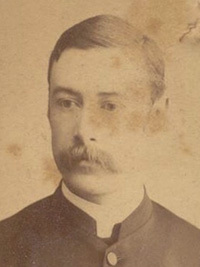 B. Savory, of Beaconsfield Upper, focussed attention on the fruit producing resources of that locality and gave world-wide publicity to the Victorian fruit industry. The exhibit was the only one from this State and it had to compete with specially selected products from various parts of the Empire. First prize was awarded to apples submitted by the Illawarra Orchard Company Ltd., West Aus tralia; and Messrs W. H. and D. F. Calvert, Tasmania, gained third place. Satisfactory Progress Before coming to this country from England in 1923 Mr Savory worked for many years in some of the largest orch ards in Sussex. Frequent visits to the Covent Garden market enabled him to gain valuable marketing knowledge, and he concluded that the best apples and pears came from Australia. Observing that the supplies from Victoria invariably were prominent in regard to size, color and quality, he decided to come here and engage in production. As a wise man he determined to acquire local experience, and accordingly worked on orchards in different districts. Five years ago he secured from Mr C. A. Bergland a managerial conditional purchase interest in the "View House" orchard at Beaconsfield Upper, on an elevated situation overlooking the Toomuc Valley, where there is a good depth of decomposed granitic loam. Although hindered to some extent by insufficient capital, satisfactory progress was made, and the returns from Jonathan, Delicious, Granny Smith and Yates apple trees have been increased substan tially each season. There are 110 acres in the property, and Mr Savory is hopeful of being able to complete the purchasing agreement by the production and export of high quality fruit. He intends periodically to increase the size of the orchard with other varieties of apples which will keep well in cold storage, and be suitable for the Australian demand during winter, as well as the requirements of the overseas markets. Referring recently to cultural methods, Mr Savory stated that the growers here were more proficient in regard to cul tivation, manuring and spraying than those in the old country, but pruning in many of the Victorian orchards lacked the thoroughness which marked the work done by British fruitgrowers. In the recent season the yield at "View House" totalled 2000 cases, but the output was considerably below the capacity of the large, widely branched trees. When the full effect of his pruning treatment is operating he is confident of being able to maintain an annual return of 4000 cases of marketable apples from 10 acres of bearing trees. More regular and profitable bearing is looked for. Already there is definite evidence of that, but it will be two or three years before the "on" and "off" yielding habits of the trees are effectively changed. The basis of the methods of pruning is to look two years ahead, and make provision for the successional growth of evenly distributed laterals and fruiting spurs. Different varieties of trees have varying bearing proclivities, and a special study of them is essential to success. With few exceptions, the trees in Victorian orchards are pruned in practically the same way, and the main objects appear to be a shortening of the leaders, removal of badly placed limbs, and keeping the centres desirably open. While these principles are basically sound, the effect of them is not likely to be fully productive, according to Mr Savory, unless adequate provision is made for the development of new shoots each year. Emphasising that phase, he cites the wide variations in the bearing habits of the Jonathan and Yates varieties. If both, he points out, are pruned alike, the fruiting results from one will be disappointing. Jonathans produce their crops mainly on laterals, and the spurs of the Yates furnish the apples. Before pruning an apple tree Mr Savory carefully examines the laterals and spurs for signs of the growth which is likely to replace the severed portions. Unless there are distinct indications of new shoots from which fruit may rea sonably be expected in the second sea son after pruning the trimming is done very sparingly, if at all. In the case of Yates trees only one bud is left on each well defined spur, but three are allowed to remain on each of the laterals of Jonathans. To get the best results, says Mr Savory, each tree in an orchard must be pruned in accordance with its habits of growth and bearing. He prefers to do the work so thoroughly that not more than eight large trees can be pruned in a day. The results are said to justify the time occupied. Before coming to Victoria Mr Savory's knowledge of cultivation, manuring and spraying was very limited. He now realises the importance of cultivation and manuring. In the latter part of winter the soil at "View House" is enriched with blood and bone, market garden manure, sulphate of ammonia or other nitro preparations. The manure is scattered over the surface and ploughed in between five and six inches deep. That method has proved of greater benefit than ploughing the orchard first and harrowing the stimulants into the loose soil. Two years ago nitrophoska was tried at the rate of from 3 to 5 lb. a tree according to size and vigor. It proved highly beneficial. For the suppression of black spot the trees are sprayed when in full bloom with the lime-sulphur solution at a strength of one part to 20 of water. Tests have shown that it is a waste of effort and money to use lime-sulphur before the fruit flowers are fully expanded. Ten days later the trees are sprayed with a mixture of 5lb. of arsenate of lead paste, two gallons of lime-sulphur and 100 gallons of water. This application seldom fails to destroy the first broods of codlin moth grubs, and the infestation causes little trouble later in the season. [S65] Ancestry - various indices, British Army WWI Medal Rolls Index Cards, 1914-1920. [S80] Ancestry - Family Tree, Gaborit Family Tree - Owner: Christy Gaborit. [S5] Registry of Births Deaths and Marriages Death Index Victoria 1921-1985 "#D18509 age 70 [par Ethelbert Ke SAVORY & Harriet DOWN]." [S9] Free BMD. Index. Online @ https://www.freebmd.org.uk/ "Hoxne District spans Suffolk and Norfolk." must have cohabited with Harriet DOWN after that - finally married her Sep Q 1917 [ Eastbourne] 2b 226 (Harriette D Down)." [S65] Ancestry - various indices, The National Archives of the UK; Kew, Surrey, England; Court for Divorce and Matrimonial Causes, later Supreme Court of Judicature: Divorce and Matrimonial Causes Files; Reference: J 77/346/423. 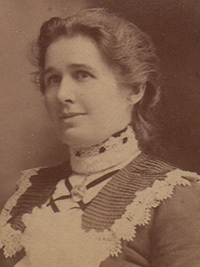 Eliza Savory filed for divorce in 1885, but petition was dismissed. It appears that Ethelbert Savory continued to cohabit with Daisy Down, and had children with her, he finally married Daisy, probably after Eliza's death. [S65] Ancestry - various indices, Class: BT26. [S83] Online index to the UK census "Class: RG13; Piece: 1797; Folio: 15; Page: 21." [S65] Ancestry - various indices, 1911 census: Class: RG14; Piece: 13326; Schedule Number: 184.
parents married for 26 years - 7 children living. 4-044-B Savory Florence Evelyn F 80 12/07/1977 1751. [S11] Newspaper - Argus 4 Jun 1931, p12. [S14] Newspaper - Weekly Times, 15 Aug 1931, p47. [S11] Newspaper - Argus 11 Jan 1939, p2. [S218] Newspaper - The Dandenong Journal (1927-1954) "22 Feb 1950, p13." [S5] Registry of Births Deaths and Marriages Death Index Victoria 1921-1985 "#D16982 age 80 [par Frederick WREFORD & Minnie Elizabeth CRAGGS]." [S185] Property Titles. ; PROV (Public Records Office Victoria), C/T 5622-318 - Florence Evelyn Savory of "Rosemont" A'Beckett Road Upper Beaconsfield Married Woman. [S66] Berwick Shire Rates, 1870-1965 4a 3r 2p later subdivided. Rates in 1928/9 for 5 acres NAV 3 [DOWLING (4344)]. [S185] Property Titles. 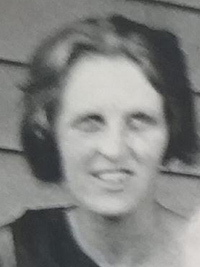 ; PROV (Public Records Office Victoria), C/T 1926-123 - Florence Evelyn Savory of "Rosemont" A'Beckett Road Upper Beaconsfield Married Woman - C/T 6372-268. [S185] Property Titles. ; PROV (Public Records Office Victoria), C/T 6372-268 - Sydney James Bowman of 83 Toorak Road South Yarra Butcher. [S65] Ancestry - various indices, 1911 census: Class: RG14; Piece: 13280; Schedule Number: 48. Frederick James Sulman was born in England in 1906, son of an enthusiastic golfer, who had him taught the game by a professional. 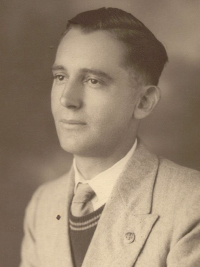 Fred migrated to Australia in 1923, first obtaining work on a Nar Nar Goon apple orchard, and later in 1929 moving to Upper Beaconsfield, where he lived and worked on Mr Tom Black's apple orchard. During this time he met Florence Olive Louise Binding. In 1932 he was able to buy a house with a small orchard attached, which was sited on the eastern side of Stoney Creek Road almost opposite the entrance to Beacons Hills Golf Course. Soon after he married Florence and they had three children. Fred was a great worker and did well with the orchard, and most years he was able to export 2000 cases of apples. He continued his interest in golf, playing for a time at Beacon Hills, then moving to the Montuna course at Guy's Hill, which he enjoyed. He became a club member and then an active voluntary ground staff worker, necessary if the club was to survive. In 1958 the price of apples dropped to 4 shillings a case. Fred sold his land, moving to Guys Hill, to become curator of the golf course, a job he enjoyed and performed very well until he retired. Fred and Florence were a very happy couple and took a keen parental interest in activities at the Primary School whilst their children Fred junior, John, and Kath attended there. The family also enjoyed the Upper Beaconsfield and Dewhurst Indoor Sports Club and participated in the district winter competitions. [S35] Probate Records, PROV (Public Records Office Victoria), VPRS 28/P30, unit 163. [S185] Property Titles. ; PROV (Public Records Office Victoria), C/T 5997-316 - Eva Glover Campbell to Frederick James Sulman of Upper Beaconsfield Orchardist. [S185] Property Titles. ; PROV (Public Records Office Victoria), C/T 5997-316 - Frederick James Sulman to Charles Leslie Constable of Henry Street Pakenham Selling Agent. [S13] Newspaper - Herald Sun "25 Oct 1999 - viewed online 27 Nov 2013." [S15] Newspaper - Village Bell "Dec 1999, Issue 131, p8 by Charles Wilson." [S83] Online index to the UK census "Class: RG14; Piece: 10098; Schedule Number: 129. Frederick Sulman 31 bricklayer; Annie Sulman 28 (married 8 years, 4 children, all living); Catherine Sulman 8; Frederick Sulman 5; William Sulman 2; Edith Sulman 8 months." [S185] Property Titles. ; PROV (Public Records Office Victoria), C/T 3829-757 - Harry Tassell and Mary Ann Beatrice Tassell to Isabella Frances Norbury of "Blythelands" Upper Beaconsfield Married Woman. [S5] Registry of Births Deaths and Marriages Death Index Victoria 1921-1985 "#D7585 age 88 [par Edmund James TASSELL & Caroline M GLADSTONE]." [S11] Newspaper - Argus 27 Jun 1955, p12. [S11] Newspaper - Argus 8 Nov 1927, p7. [S11] Newspaper - Argus 26 Mar 1936, p1. [S5] Registry of Births Deaths and Marriages Death Index Victoria 1921-1985 "#D851 age 92 [par Robert TAYLOR & HARLAND]." [S185] Property Titles. 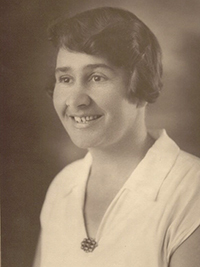 ; PROV (Public Records Office Victoria), C/T 4416-087 - Ada Mary Taylor of Upper Beaconsfield Spinster - C/T 4578-505. [S185] Property Titles. ; PROV (Public Records Office Victoria), C/T 4416-087 - Ada Mary Taylor of Sledmere Upper Beaconsfield Spinster - C/T 5581-078. [S185] Property Titles. ; PROV (Public Records Office Victoria), C/T 4578-505 - Muriel Ida Balaam of 185 Wattletree Road Malvern Spinster. [S185] Property Titles. ; PROV (Public Records Office Victoria), C/T 5581-078 - Muriel Ida Balaam of 185 Wattletree Road Malvern Spinster. [S5] Registry of Births Deaths and Marriages Death Index Victoria 1921-1985 "reg. Macl." [S83] Online index to the UK census "1871 census: Class: RG10; Piece: 4812; Folio: 4; Page: 1; GSU roll: 847359." [S83] Online index to the UK census "1891 census: Class: RG12; Piece: 3959; Folio: 105; Page: 14; GSU Roll: 6099069." [S83] Online index to the UK census "1901 census: Class: RG13; Piece: 4525; Folio: 20; Page: 31." [S20] Various indexed records of GSV - Genealogical Society Victoria "Ferntree Gully Cemetery register 7.5.1885 to 30.6.1998." [S11] Newspaper - Argus 30 Jan 1943, p13. [S83] Online index to the UK census "1861 census: Class: RG 9; Piece: 3613; Folio: 7; Page: 8; GSU roll: 543161." [S83] Online index to the UK census "1881 census: Class: RG11; Piece: 4798; Folio: 152; Page: 10; GSU roll: 1342158." [S5] Registry of Births Deaths and Marriages Death Index Victoria 1921-1985 "#D20720 age 81 [par Robert TAYLOR & Fanny SUDDALEY]." [S11] Newspaper - Argus 26 Aug 1950, p19. 7 Jun 1935, LAW COURTS JURYMAN AND TAXATION STAMPS - ADJOURNMENT OF COURT - Barrister's "Appeal to Sentiment'' - Judge Magennis permitted the adjournment of a Court of General Sessions for an unusual reason yesterday, when a juryman explained at 4.50 p.m. that unless he was able to obtain a receipt from the Taxation Department, just across Lonsdale street, before 5 p.m., he would be the loser by £3. "That is a very good reason for an adjournment," another juryman interjected. Elizabeth Thompson, aged 47 years, poultry farmer, of Upper Beaconsfield, was being tried for the alleged theft on April 22 of a wallet, the property of Mrs. Dorothy Colson, of Salisbury House, Upper Beaconsfield. Mrs. Colson said that Mrs. Thompson called with eggs, and that the wallet, which contained papers and 7/ in cash, was stolen from a bed- room. Evidence was given that it was found in Mrs. Thompson's wardrobe be- neath some underclothing, with the 7/ missing. Mrs. Colson said that the wallet, with contents, was worth £2/10/. "The bag is a very old one," said Mr. Stretton, who (instructed by Mr. W. D. Sykes) appeared for Mrs. Thompson. "Were the papers so very valuable?" Mrs. Colson.-They were my references, and that means my living. Mr. Stretton said that he would make the most blatant appeal to sentiment that had ever been made in the court. He placed Mrs. Thompson in the box to say that she was never in any room, and that she saw what she took to be an old wallet which had been thrown outside the door, containing apparently only a hand- kerchief. She took it home and threw it on the bed. There was no money in the bag, and it was in the wardrobe because it had been picked up with the ironing blanket and a shirt. These were the "underclothes" mentioned. Mr. Stretton, in an impassioned address to the jury, said that Mrs. Thompson had picked up the bag and held it in her hand while she was talking to the proprietor of Salisbury House. Was that, he asked, a likely action for a woman who meant to steal? This concluding the case for Mrs. Thompson, Judge Magennis asked the jury whether its members would prefer to adjourn until to-day, or whether they would prefer to complete the case on the spot. "My summing-up will take only five minutes," he said, "and I should think that your deliberations will require little more." The jurymen talked among themselves, and when the foreman said at last that they would prefer to adjourn another member expressed the opposite view. A third then said that he had taken £3 worth of taxation stamps to the department and had been delayed. If he were not oble to call before 5 p.m. these would be cancelled and he would lose £3. [S5] Registry of Births Deaths and Marriages Death Index Victoria 1921-1985 "#D16630 age 66 [par John LAMBERT & Jane BROWN]." [S185] Property Titles. ; PROV (Public Records Office Victoria), C/T 3535-953 - Elizabeth Thompson of 1 James Street Dandenong Married Woman. [S185] Property Titles. ; PROV (Public Records Office Victoria), C/T 3535-953 - Harold James Gardener of "Warrington" Upper Beaconsfield Woolbuyer. [S5] Registry of Births Deaths and Marriages Death Index Victoria 1921-1985 "#D18267 age 69 [par William THOMPSON & Hannah Margaret COOPER]." [S11] Newspaper - Argus 7 Jun 1935 p4. Death-Notice* 4 Jan 1947 CHASE.-On January 3, at Wentworth, 294 Williams road, Rev. 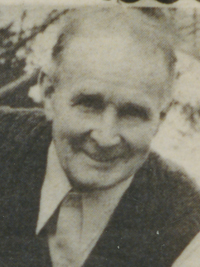 Arthur Pelham, father of Hilda, Jessie (Mrs. Thorogood), and Thyre and Cedric (deceased), aged 89 years. [S14] Newspaper - Table Talk, 1 Oct 1886, p9. [S1] Registry of Births Deaths and Marriages Pioneer Index Victoria 1836-1888 "#M5515." [S11] Newspaper - Argus 19 Oct 1886, p1. [S185] Property Titles. ; PROV (Public Records Office Victoria), C/T 1347-371 - Arthur Pelham Chase of Eltham Clerk in Holy Orders and Lloyd Heber Chase of "Woodlands" Leslie Street Essendon Civil Engineer are registered as proprietors of the within described land as executors to whom probate of the will of Septimus Lloyd Chase who died 3rd August 1895 was granted on 29 Aug 1895. [S185] Property Titles. ; PROV (Public Records Office Victoria), C/T 1347-371 - Arthur Pelham Chase of Eltham Clerk in Holy Orders. [S59] John Milligan, Book: The History of St. John's Anglican Church, Upper Beaconsfield, p17. [S185] Property Titles. ; PROV (Public Records Office Victoria), C/T 1347-371 - Jessie Louise Thorogood of Glenburn Beaconsfield Upper Married Woman. [S5] Registry of Births Deaths and Marriages Death Index Victoria 1921-1985 "#D7611 age 83 [par Theyre WEIGALL & Marian A'BECKETT]." [S11] Newspaper - Argus 4 Jan 1947 p18. [S11] Newspaper - Argus 10 Jan 1947, p16. Anecdote* 1852 Horatio Cockburn ELLERMAN born Antwerp, Belgium. "ANTWERP Station" Wimmera, Victoria: "Horatio Ellerman had a distinguished career ministering God's word to Aboriginals in Victoria. It is interesting to speculate how much he was driven by a desire to make amends for an unfortunate event that is outlined below. " A century and a half has now elapsed since William 'Willie' Wimmera's death yet the headstone that was erected still exists and is today both a rare and poignant reminder of his short existence. By the time the boy was six years of age, the Wotjobaluk country had been encroached upon by white squatters who brought with them thousands of head of sheep to graze the lands. Clashes between the Wotjobaluk and the European invaders became inevitable as both culture and commercial interests collided. In a punitive measure for some unknown aggression or act, in February 1846, a party of white settlers set upon a camp of these aboriginal people by the banks of the Wimmera River. Amongst this native group was our six-year-old boy who, by the end of the attack, was left clinging to his dead mother - a bullet through her heart. The woman was buried on the spot and the 'orphaned' boy removed to the home of a Belgian settler, Horatio Ellerman, who had both participated in the raid and was reputed to have fired the shot that had killed the boy's mother. At the home of Ellerman he was brought up and worked in the household as a servant. In December 1850, Willie's life took another dramatic turn. He was invited to join some men on a trip carting wood to Melbourne. But while in the city he became lost and wandered the streets. He was soon discovered by a group of young white children and, either at the invitation of his young peers or through curiosity followed them home where he was both fed and allowed to sleep. Willie also accompanied the white children to their school and it was there he came to the attention of the 33-year-old Reverend Septimus Lloyd Chase, an Anglican clergyman and former curate of St. Johns Church, Reading. After discovering the boy in the school it wasn't long before the Reverend Chase eventually took him into his own home. Chase was soon to return to England and so, with the thought of educating and evangelising the boy into the Christian Church, he asked Willie if he wished to accompany him. But Chase didn't realise that the boy was not an orphan, as his father and brothers were still alive in the Wimmera district, a fact that was realised many years later when his story was told to a local aboriginal congregation. The barque Sacramento departed Melbourne on the March 29, 1851. A local newspaper recorded that among her passengers were the Reverend Chase and his 'servant'. It was a very long passage to England but it provided Chase with ample time to give the young aboriginal boy instruction in reading and writing and prayer. Following their arrival in London in September 1851 Chase and his young charge travelled to Reading, to the residence of Chase's father, Samuel. Over the next six months, the boy was cared for and educated by Chase's family and his acquaintances at Reading and at Iver nearer London. He was given lessons in writing and drawing and taught practical skills in plaiting straw and making shoes. His education into the Bible and Christianity also continued. Whilst at Iver, the boy became ill with congestion of the lungs and so it was decided that he should return to Australia as it was considered that the English climate could prove fatal. He returned to Reading before Christmas but his condition continued to deteriorate. On January 8, 1852 Chase was married at St. Giles in Reading and because of this and other commitments was not able to provide the boy with his full attention. Nevertheless, with Willie's understanding and acceptance of his new faith, Chase had the young Wotjobaluk boy baptized into the Church where he received the name 'William Wimmera' - a reflection of his origins because his traditional or given aboriginal name was probably never known or had been long forgotten. Sadly, over the next few months the boy's condition scarcely improved. He lost a great deal of weight and he suffered great pain. Although his passage back to Australia in the company of Chase had been arranged Willie did not live long enough to make the journey home. Despite the efforts of his benefactor and carers he finally succumbed before dawn on that spring morning of Wednesday, March 10, 1852. Marriage* 8 Jan 1852 Spouse: Eleanor Sophia Purvis. Reading, Berkshire, England. Crown Grant to S. L. CHASE on 13 Mar 1882. Death-Notice* 5 Aug 1895 CHASE-On the 3rd inst., at his late residence, Glenhuntly road, Elsternwick, the Rev. 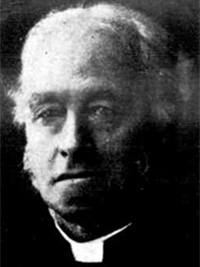 Septimus Lloyd Chase, M.A , late incumbent of St. John's Church, Latrobe street, and Canon of St. Paul's Cathedral, aged 76 years. SERVICE in connection with the funeral of the late Canon CHASE will be held in St Paul's Cathedral, Swanston-street, THIS DAY (Monday, 5th inst), at 2 pm. Probate (Will)* 28 Oct 1895 59/086. Probate includes: All that piece of land situate at Beaconsfield known as "Glenburn" Crown Allotment 29A, Section D, Parish of Gembrook, County of Mornington, containing 20 acres on which is erected a 4 roomed cottage rated at £ ... per annum, new assessment to come into force on 1st October next £15 per annum, valued at £100. Robert Kenny: The Moravian missionaries, led by Friedrich Spieseke, arrive in 1858 to establish a mission. The Moravians are a German religious group who can be traced back, or can trace themselves back to being kind of proto-Protestants before the Reformation. They’re basically pietists; they believe in the feeling of religion over the intellectual interest in religion. And therefore, there is in fact... interestingly you can trace a lot of the German Romanticists had connections with the pietists or even Moravians, and so that kind of thing is of interest. They basically founded what we might term the modern mission movement; that is, the movement amongst Indigenous people, first of all in... Actually in Northern Sweden, I think, they were trying to convert the Laplanders or—I’ve forgotten what the Laplanders are now known as. And then they were in America, and they had a reputation for great tenacity. And since there’d been very little success—or really no success—amongst Christian missionaries in Australia, it was seen as the most challenging field. And also the most exotic place in the world, really. We tend to forget that now. And the Moravians already had a contact in Victoria, which was the governor—Charles Joseph La Trobe. The La Trobe family is one of the most famous Moravian families in the Anglophone world, both in England and in the United States. And so there was never a question of if the Moravians established a mission in Australia, it would be in Victoria. And there’d been a couple of Anglican-based attempts at missions in Victoria, which had failed. And there was also the Protectorate system and that had failed. And when that failed, La Trobe basically took the opportunity to get the Moravians in, which wasn’t difficult for him because his brother was head of the Moravian church in Britain. So the Moravians first arrived in, I think, 1849 and set up a mission at Lake Boga which came into huge conflict with the surrounding settlers, particularly once gold was found, because a minor little road ran through the mission which then became the major road between the goldfields and Adelaide. So, to cut a long story short, that mission collapsed. And then another mission came in in 1858 and that established itself on the banks of the Wimmera River, called itself Ebenezer, and then proceeded to try to convert the Wotjobaluk. And they had a couple of young men who seemed to be quite interested in the place, and one of them was Pepper. Now, it seems fairly clear that Pepper spoke English before this, and he was probably taught English by Anne Ellerman, the wife of the major squatter in the area, Horatio Ellerman, who’s a very interesting character and features somewhat in my book. And there’s some suggestion that Pepper was actually helping the German missionaries with their English, which gets you a nice little twist to things, although I haven’t quite been able to verify that—but I can imagine that it could be the case. 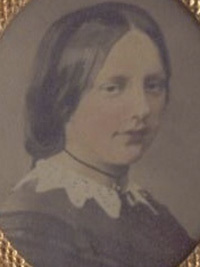 Pepper was the most frequent visitor to the mission and struck up quite a relationship particularly with Friedrich Hagenauer, who was the junior at that particular mission. And the Moravians are very much in touch with the religious in Melbourne—that is, particularly the Anglican Church—and Hagenauer then becomes very involved with the Presbyterian Church when he leaves the Wimmera and goes to Gippsland and founds the Ramahyuck Mission, which Pepper follows him to, to Ramahyuck. And that’s actually a Presbyterian mission, if you like, franchised or something to the Moravians. The Moravians run it ostensibly. The main sort of support from Melbourne, apart from La Trobe, was the Church of England, whose bishop at the time, Charles Perry, was very much your evangelical... to a certain extent, an evangelical heavyweight and very close to the Church Missionary Society in London. And the main person under him, who was the dean of St Paul’s, was Septimus Lloyd Chase, a fascinating character about whom not much can be found. This is possibly because, out of some coincidence, every house he lived in, soon after he left it was pulled down. So it’s quite possible his papers disappeared with each demolition, because there are no Lloyd Chase papers. But he’s involved in everything. He’s involved in missionary societies, he’s involved in missionary societies to Aborigines, missionary societies to the Chinese, and so forth. He runs a school. So it’s very odd. Chase is a sort of big supporter of the Moravian missions. Now, when they open their church, the day they open their church in 1860, in the Wimmera—and that’s also the day they baptise Pepper—and Lloyd Chase is there to officiate on all this. And Lloyd Chase had also been involved with an earlier Wotjobaluk youth, a boy who had become lost in Melbourne, who seems to have worked on the Ellerman farm station. Now, this is a kind of... the story of Willie Wimmera is a story which is kind of there very much like a ghost story over the whole events of Pepper. Now, Willie was a cousin of Nathanael Pepper and there seems to have been a punitive raid led by Ellerman, because some sheep had been ‘stolen’ (in inverted commas). And a woman was shot in this raid and she had this child with her. And Ellerman, as the story goes, adopted this child. I think you have to use the term ‘adopted’ loosely; I think he probably hung around the station. And then he seems to have gone to Melbourne on a load of wool and got lost in Melbourne, but I don’t know that anybody’s looking for him terribly much. And he gets found by one of the students from the St Paul’s School and gets taken to Lloyd Chase and Lloyd Chase adopts him into his own family, where I think he’s got five or six children already, so he sort of really becomes part of that sort of family. And then Lloyd Chase thinks to take Willie to England to basically train him as a missionary. He’s eleven years old. And so he goes to England. There he succumbs to a lung disease—probably tuberculosis, which he could have had before he left Australia. And it’s a very tragic story. And there was a little pamphlet published in England soon after called The Story of Willie Wimmera, I think, and that went into two editions and it was serialised in one of the religious papers in Melbourne. So Willie Wimmera became quite a kind of interesting character, because he also was said to convert on his deathbed. And Chase, when he goes to the Wimmera for the opening of the Ebenezer church, basically brings the story back—so he kind of brings Willie back to his people. And that whole story becomes very entwined in things. And in fact in lots of the kind of writings about Pepper over the years, the stories have become quite mangled between the stories of Willie and the stories of Pepper—have become kind of mixed. So there’s... you can find references to Pepper being taken to England, which never happened. But there’s a whole violence involved in that, as it was everywhere. But soon after Pepper’s kind of conversion experience, Hagenauer had been given a copy of the little book by Charles Joseph La Trobe and he took it out to read it to the boys in the school they’d set up at Ebenezer. And there was just shocked silence, because they all knew who he was talking about. He didn’t know—at that time Chase hadn’t been to Ebenezer. So they take him outside and show him where Willie’s mother is buried, and this is just outside the mission house. And they talk about how some of them were there— they saw the mother shot; they saw everything which happened. So it’s kind of like a shock to Hagenauer and he sees it as the true kind of beginning of the mission, because this is sort of... shows that they were brought to this spot by God. [S338] Unknown author, Victoria and its metropolis. [S65] Ancestry - various indices, Ancestry.com. Cambridge University Alumni, 1261-1900 [database on-line]. Provo, UT, USA: Ancestry.com Operations Inc, 1999. Original data: Venn, J. A., comp.. Alumni Cantabrigienses. London, England: Cambridge University Press, 1922-1954. Aborigines' friend and colonial intelligencer, London. V. 1, No. 1, January-December 1855. Christie, M. F. / Aborigines in colonial Victoria, 1835-86. Sydney: Sydney University Press, 1979. The Encyclopedia of Aboriginal Australia: Aboriginal and Torres Strait Islander history, society and culture. Canberra: Australian Studies Press for the Australian Institute of Aboriginal and Torres Strait Islander Studies, 1994. Illustrated London News, London, 1846. Massola, Aldo. Aboriginal mission stations in Victoria. Melbourne: Hawthorn, 1970. Mulvaney, D. J. Cricket walkabout: the Australian aborigines in England. 2nd ed. South Melbourne: Macmillan in association with the Dept. of Aboriginal Affairs, 1988.Scholefield, Mrs H. A short memoir of William Wimmera: an Australian boy who sailed from Melbourne, April 1851 died at Reading, March 10 1852. [S11] Newspaper - Argus 12 Dec 1862, p4. [S14] Newspaper - The Australasian (Melbourne, Vic. : 1864 - 1946), Sat 10 Dec 1864, p8. 1290/49. 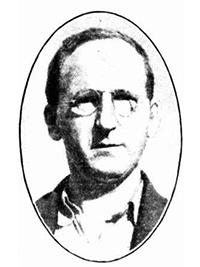 SEPTIMUS LLOYD CHASE. GEMBROOK 29A. 19--3--38. 1879 - 1882. [S185] Property Titles. ; PROV (Public Records Office Victoria), C/T 1724-654 - Mortgage No 126323 - discharged 30 Apr 1897. [S11] Newspaper - Argus 5 Aug 1895, p1. [S11] Newspaper - Argus 3 Aug 1895, p7. [S11] Newspaper - Argus 5 Aug 1895, p4. 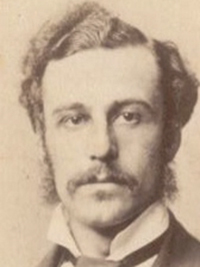 Marriage* 8 Jan 1852 Spouse: Rev Canon Septimus Lloyd Chase. Reading, Berkshire, England. [S11] Newspaper - Argus 5 May 1866, p4. [S11] Newspaper - Argus 25 Jul 1861, p4. [S11] Newspaper - Argus 29 Jul 1943 p2. [S11] Newspaper - Argus 5 Oct 1897, p1. [S185] Property Titles. ; PROV (Public Records Office Victoria), C/T 1347-371 - Claude Breydon of 159 Dandenong Road Windsor Merchant. [S185] Property Titles. ; PROV (Public Records Office Victoria), C/T 5802-248 - Thomas William O'Keeffe of "Glenburn" Albers Road Upper Beaconsfield Motor Driver. [S83] Online index to the UK census "Class: RG14; Piece: 990." Death-Notice* 2 Nov 1950 CHASE. — At his residence, 71 Sir Garnet road Surrey Hills, Reverend Edward Selwyn, dearly loved husband of Beatrice Martha, loved son of the late Canon Chase of St James Old Cathedral Melbourne and dear brother of the late Reverend A Pelham Chase of St John's Toorak. [S185] Property Titles. ; PROV (Public Records Office Victoria), C/T 1724-654 - Charles Lloyd Purvis Chase to Pauline Caroline Jessie Chase of Eltham Spinster and Edward Selwyn Chase of Healesville Clerk in Holy Orders - as tenants in common - C/T 2656-056. [S185] Property Titles. ; PROV (Public Records Office Victoria), C/T 2656-056 - As to one undivided half part - Pauline Caroline Jessie French formerly Chase to Edward Selwyn Chase of Apollo Bay Clerk in Holy Orders- C/T 3192-326. [S185] Property Titles. ; PROV (Public Records Office Victoria), C/T 3192-326 - Edward Selwyn Chase to Euston Vernon Wade of Corner of Park Road and Walker Street Parkville Principal of Ridley College Parkville. [S5] Registry of Births Deaths and Marriages Death Index Victoria 1921-1985 "#D12476 age 87." [S11] Newspaper - Argus 2 Nov 1950, p16. THEYRE PELHAM CHASE has been admitted to Guildford Hospital, suffering from bayonet wounds. He was one of our O.M. farmers at King Island when he enlisted. 26 Nov 1921, Mr. T. Chase to Miss D. McLaurin. War Services Old Melburnians 1914 - 1918, page 256, 291. [S11] Newspaper - Argus 1 Feb 1889, p1. [S14] Newspaper - Table Talk, 24 Nov 1921, p26. [S14] Newspaper - The Prahran Telegraph (Vic. : 1889 - 1930), Sat 3 Sep 1921, p7. [S14] Newspaper - Prahran Telegraph, 26 Nov 1921, p6. [S14] Newspaper - The Prahran Telegraph (Vic. : 1889 - 1930), Sat 26 Nov 1921, p6. [S36] Inward & outward passenger lists to and from Victoria. Series: VPRS 14; 7666; 7667; 7786); PROV (Public Records Office Victoria), B 959 011. [S185] Property Titles. ; PROV (Public Records Office Victoria), Conditional Purchase Lease of Farm Allotment Lease #1108-536. Valued at £3461.7.8 to be paid over 36.5 years. First payment due 6 Nov 1929. [S6] Registry of Births Deaths and Marriages Marriage Index Victoria 1921-1942 "#M3235." [S15] Newspaper - Village Bell "089-1992, p15." [S185] Property Titles. ; PROV (Public Records Office Victoria), C/T 7145-801 - Thomas Fergus Black of Dewhurst Orchardist. [S185] Property Titles. ; PROV (Public Records Office Victoria), Conditional Purchase Lease of Farm Allotment declared void. [S83] Online index to the UK census "1901 census: Class: RG13; Piece: 1224; Folio: 172; Page: 50." [S83] Online index to the UK census "1911 census: Class: RG14; Piece: 2358." Death-Notice* 8 Oct 1949 WAIN. —On October 7, at Wilson-street, Cheltenham, Henry John, loved husband of the late Maria, and loving father of Lily (Mrs. Boeck), Henry, Ada (Mrs Beardwood) and Bert, aged 77 years. [S5] Registry of Births Deaths and Marriages Death Index Victoria 1921-1985 "#D11307 age 77 [par unknown]." [S83] Online index to the UK census "1901 census." [S16] Newspaper - The Age 8 Oct 1949, p2 + 12. Henry Samuel Edward WAIN died 1979 aged 84 Maffra." 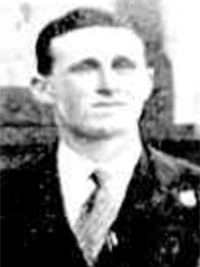 Henry John WAIN, burial number 9083, labourer, minister McCoy.